As we parted the dense foliage and entered into the cave, my heart immediately started to race. I didn't anticipate that I would feel so nervous. But the damp walls closing in around me, so tight I couldn't stand up straight or spread my arms, made me feel intensely claustrophobic. When the guide told us we'd be descending nearly 100 feet underground, I panicked. But as much as I wanted to turn back, I knew I needed to push on. I clicked on my dull flashlight, searching the tunnel for the signs of life that once resided here. Just then I heard an echoed flapping, and shot my light up in time to catch a bat, wings spread wide coming right towards my face. I screamed, ducked, and thanked god I wasn't one of the many villagers that called this place home for six years while American troops bombed the hell out of the jungle above. This is not going to be a blog about the Vietnam War (or, as they call it here, the American War). I'll leave that for another writer. 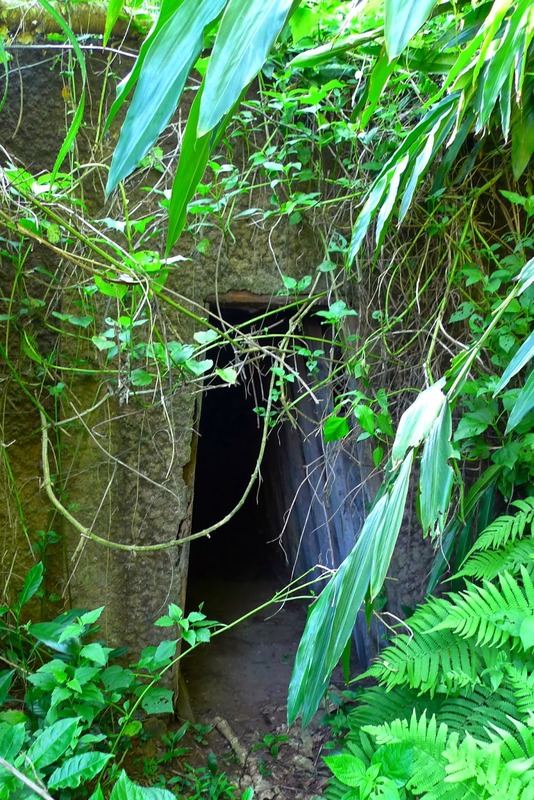 This is about the Vinh Moc Tunnels, and how impossible it is for me to wrap my head around a life underground. Each family with a dwelling no bigger than a storage closet. One "bathroom" for 300 people. Women giving birth in there, in pitch blackness. Kids that were five years old before they saw daylight for the first time. 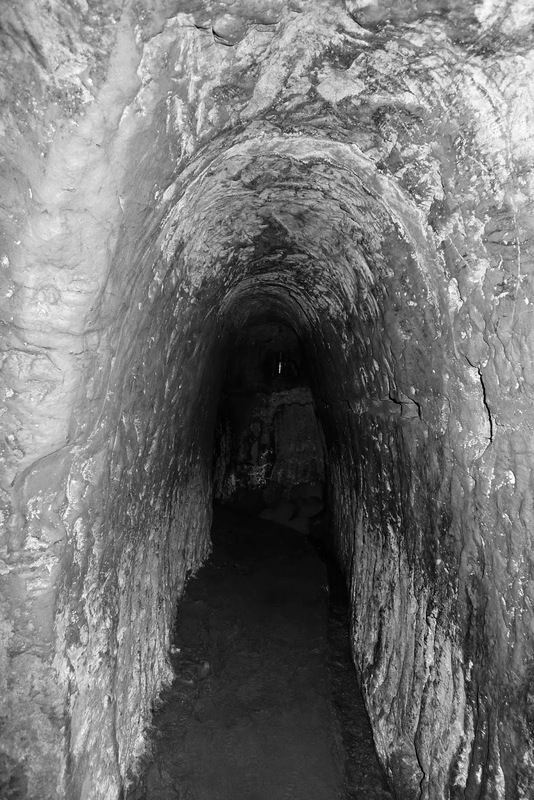 I emerged from the tunnels, sweaty and breathless, into the blinding sunlight. We were on a beach. Birds chirping overhead and waves lapping at the shore. Bomb craters all around, slowly being swallowed by the wilderness. It's easy to forget in this country the things that were going on just 40 years ago. War may be atrocious, for many reasons. But the human ability to adapt, the will to survive, the lengths people can go to and still come out the other side, is nothing short of astounding.